At 4:45 a.m. on June 22, 1941, 4 million German, Italian, Romanian, and other Axis troops poured over the Soviet border. The offensive became a mad dash into the heart of Russia, with the Soviet troops in utter disarray. So paltry was the resistance that Panzer divisions outraced the infantry. By late fall, the Germans had surrounded Moscow and laid siege to Leningrad—and winter came. Unable, unwilling, or unprepared, Japan failed to launch an attack from the east, allowing the Soviets to focus their might on a single front. They counterattacked that winter, and the following summer saw a series of bloody battles with neither side gaining much ground. By fall, it was clear that the Axis offensive had lost all momentum. The tide was turning. The Soviet counteroffensive in the winter of 1943 unleashed a juggernaut that buckled the German lines and opened an unstoppable surge to the west the following summer. With the Red Army reaching the Baltic States and punching into Poland and Hungary in 1944, Japan's biological warfare plan shifted from optimistic offense to desperate defense. As the war on their western front became a rout, the Soviets turned their attention to the Manchurian border. By this time, Ishii had been reassigned to Nanking as the chief of the First Army Medical Department.2 But the Kwantung Army needed him to oversee the enormous increase in weapons production that was viewed as the best hope for repulsing the impending Russian invasion. Ishii was summarily transferred back to Unit 731 and given the responsibility of preparing a biological arsenal sufficient to stop the Soviets. Ishii's plan called for using 300,000 rats as the basis for producing several hundred million infected fleas. A Japanese officer recalled that in the summer of 1945, "the squad [of soldiers dressed in civilian clothes] was brought up to 30 men and the mass trapping of rats intensified. "3 When the military could not spare any more soldiers to hunt rodents, the Japanese began paying a bounty to children for every live rat they could bring to gates of Pingfan. Having soon depopulated the countryside of rodents, the locals were encouraged to start their own colonies. The farmers quickly realized that rearing rats generated significant income, and the peasants began to provide Pingfan with a steady stream of live rodents, never knowing—or perhaps wondering about —the fate of their squeaking livestock. With an initial capability to generate 130 pounds of fleas in each three-month production cycle, Ishii exhorted his staff to labor unceasingly toward a goal of 200 pounds. Once the frantic scientists and technicians approached this output, Ishii pressed even harder. Referring to the high appraisal and enormous faith that the Imperial Army expressed for Unit 731, he called on his staff to redouble their efforts. Ishii drew up plans to produce annually more than 5 billion infected fleas—more insects than there were people on the planet. Such a mind-boggling quantity of fleas demanded an enormous amount of blood. To feed and infect so many insects would have required 50,000 incubators—far more than Unit 731 could possibly maintain. Circumstantial evidence indicates that the Japanese were pursuing a more productive system, perhaps one in which huge numbers of fleas could be fed on blood through an artificial membrane. Whether or not this technology was fully developed, the limiting step in production became acquiring sufficient volumes of infected blood to feed the fleas. The Japanese turned to one of the largest pools of blood at their disposal, their human livestock—the maruta. In Nanking, Ei 1644 began keeping Chinese prisoners in kennels—rows of 40 or 50 animal cages about four feet on a side.4 These maruta did not need to be decently fed or housed, for their bodies were nothing more than living incubators. They were inoculated with bacteria and the disease was allowed to progress. Once a victim was deemed ready for harvesting, a technician dragged the delirious prisoner from his cage and administered chloroform or restraints as needed. Then, the maruta was taken to surgery where his femoral artery was severed. Although this massive buildup of biological arms was motivated by the expectation of a Soviet invasion of Manchuria, U.S. forces were also moving toward Japan. If entomological warfare could repel the Red Army, might these weapons also halt the Americans' methodical advance across the blood-soaked islands of the Pacific? The United States had ignored and discounted the danger of Japanese biological weapons for most of the war. Racist perceptions assured the Allies that their uncivilized, heathen enemy would not be capable of unleashing a weapon that required scientific sophistication and technological prowess. On several occasions, only the whims of war kept the Americans from learning a brutally hard lesson as to the hazards of bigotry and arrogance. The first near-hit came in March 1942, when the Japanese planned to mobilize their biological warfare units against American and Philippine troops defending the island of Bataan.5 Pending the outcome of a conventional battle, the plan called for releasing 200 pounds of plague-carrying fleas—about 150 million insects—in each of ten separate attacks. However, when the Japanese forces summarily defeated the enemy in early April, the entomological assault became unnecessary. In the summer of 1944, the United States attacked Saipan, one of the Mariana Islands of immense strategic value in the war.6 Japan knew that if the airbase fell into the hands of the Americans, it would become a staging ground for the bombing of their homeland. After 24 days of horrific fighting, the Japanese defense finally collapsed on July 9. Ishii proposed that a commando team could sneak onto the island and introduce plague-infected fleas to sicken American forces and prevent them from mounting air raids. The Japanese leaders approved the plan and dispatched a squad of 20 men under the command of two army medical officers. The U.S. troops might well have paid the painful price of their leaders' underestimation of the enemy, except for a lucky torpedo. The ship carrying the insectan warriors was sunk by an American submarine. Having again dodged the biological bullet, the Americans remained blissfully unaware of the impending entomological assault on Okinawa. For 82 days beginning in April 1945, Allied and Japanese forces battled for control of Okinawa. To lose this colonial possession was to allow the Americans a foothold in Japan itself. Once again, Ishii plotted to repel the invaders with plague.7 But as with Bataan and Saipan, the entomological weapons apparently never made it to the target. In the case of Okinawa, however, it is not clear what prevented their use. Perhaps the Japanese drew the line at spreading disease on their own land, or maybe they saw that the war was almost certainly lost and did not want to provoke the wrath of the Americans. At least this latter consideration played a role in what would have been the most memorable entomological attack of the war—a raid on the American mainland. Figure 11.1. A "Type A Fugo," or balloon bomb, used by the Japanese in World War II. 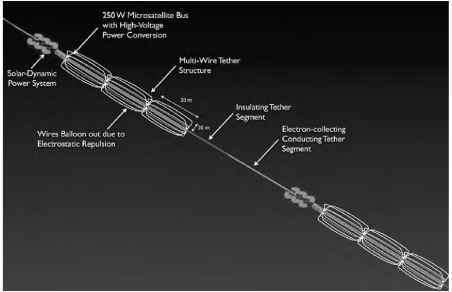 The hydrogen-filled balloon was about 100 feet in diameter and could lift a 400-pound payload up to 32,000 feet for its journey on the jet stream across the Atlantic Ocean to the west coast of North America. At least 50 Fugos were seen over the state of Washington on a single day. Although the bombs were equipped with incendiary charges, the Allies were concerned that payloads could include biological weapons. About 300 of the balloons made it to the shores of the United States and Canada. There was some concern that such attacks could serve to bolster Japanese morale, but there was little worry that the firebombs could cause much damage to the wet forests of the Pacific Northwest. American officials became far more alarmed with the possibility that the next wave of balloons could carry pathogens—and even their vectors.9 However, the Americans hadn't a clue that the Japanese planned to launch their biological attack from beneath the seas rather than from the air. In the waning months of the war, Ishii managed to convince his superiors that desperate times called for desperate measures. He worked with other military commanders to develop a plan for attacking the U.S. mainland in what came to be called Operation Cherry Blossoms at Night—a lyrical name for a wicked plan.10 The operation called for one of Japan's unique plane-carrying long-range submarines to sneak into the waters off the coast of California. At nearly 400 feet in length and with crews of 144, these were the largest submarines to ply the depths until the nuclear ballistic missile-toting vessels of the 1960s. Once near shore, the Japanese sub would surface, the fold-up planes (there were three on board) would be assembled for flight within minutes, the plague-infected fleas would be loaded aboard, and the kamikaze pilots would release their pathogenic cargo over San Diego. This attack was to be supplemented with a boatload of commandos launched toward the harbor to spread plague and cholera along the waterfront. The plans were finalized on March 26, 1945, and the components were readied for deployment. At the last moment, the operation was scrapped by the chief of general staff. General Umezu Yoshijiro found his moral courage by tapping into a sense of cultural shame. He realized that such an attack on the United States could trigger retaliation in kind, which might spiral into "an endless battle of humanity against bacteria [for which] Japan will earn the derision of the world." Despite Umezu's sense of honor, Japan remained committed to waging entomological warfare against the Soviets. And the race was on to prepare the weapons before the Red Army descended. While the stockpile of infected insects was building in 1945, the Japanese command hurried to assemble the necessary field battalions for using the biological weapons. Still clinging to a pathetic vestige of secrecy, these were called "Water Purification Units." The top brass devoted military manpower commensurate with the enormity of the production effort. There were 13 units of up to 500 men and more than 40 units each with about 250 personnel.11 Despite the frenetic effort to prepare for entomological warfare, only so many maruta can be exsanguinated, so many rats caught, and so many fleas produced. In the end, the biological calendar of the Japanese turned slower than the military clock of the Soviets and the atomic clock of the Americas. On August 6, 1945, the first atomic bomb fell on the Japanese city of Hiroshima. Three days later, the second bomb fell on Nagasaki—and the Red Army poured across the border of Manchuria. The Japanese were utterly overwhelmed. Ishii was stunned by his country's surrender on August 14, but he quickly emerged from his stupor and commenced the most important project of his career: erasing Pingfan and hiding its secrets. And then, the carrot. Ishii had amassed a fortune through embezzlement, kickbacks, legitimate royalties, and other means. Moreover, he had been so open with the work of Unit 731 that virtually all of his superiors were implicated in the war crimes. So he was well positioned to secure substantial investments from high-ranking officials to buy the silence of his subordinates with payments of up to 2 million yen. 20,000 people.13 One might imagine that adding a few thousand more victims might have tipped the scale of justice toward the condemnation and prosecution of Ishii and his inner circle. But the other pan on the scale was rapidly offsetting the value of human life: the value of science to the American military. For three long years after the war, Ishii and his lieutenants engaged the American military and their scientists in a convoluted series of investigations, feints, threats, pleadings, and offers that culminated in a Faustian deal that isn't found in the history texts. After interrogating Ishii and his lieutenants for countless hours, the American investigators arrived at two conclusions.14 First, the Allied Supreme Command became convinced that the Japanese scientists could be of significant value to the U.S. military's biological warfare efforts. And second, the International Prosecution Section—the organization conducting war crimes trials—determined that the Japanese had conducted human experimentation and disseminated plague-infected fleas on the Chinese people. So it was that General MacArthur's desire for military intelligence came to loggerheads with the chief prosecutor's concern for justice (see Figure 11.2). In 1948, circumstances finally called the Americans' hand. The Tokyo War Crimes trials were coming to an end and the window of opportunity for presenting new evidence was closing. Attempting to sustain a vestige of legal integrity, the U.S. prosecutors claimed that their case against Ishii and his crew was ultimately too weak to pursue. Capitulating to political pressure, they opted for de facto immunity via nonprosecution. Having lost this early round of the Cold War to the American biological warfare community, the Soviets came out swinging in the next round.17 On Christmas Eve of 1949, the Russians formally charged their Japanese captives—including 12 officers and enlisted men from Unit 731 and its sister facility in Nanking—with war crimes. News of the trial alarmed the U.S. State Department, where officials worried that the Soviets would use their proceedings to publicly reveal the immunity-for-intelligence deal that had been struck by the Americans and thereby score a major international propaganda victory. 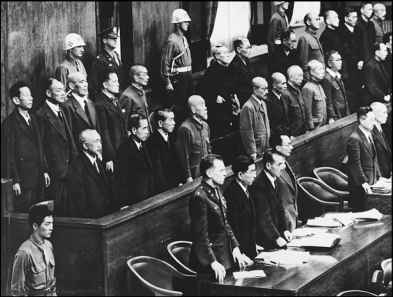 Although the testimony presented in the six-day trial suggested that Ishii had been the kingpin of the operation and that Allied POWs, including U.S. soldiers, had been subjected to experiments, the Japanese-American quid pro quo remained a dirty little secret. In the knockdown, drag-out fight between communism and capitalism, the Soviets racked up some major points with their high-profile trial in 1949 and righteous indignation over the nonprosecution of Ishii. Then, when nobody was looking, they resorted to the tried-and-true tactic of hypocrisy.19 Although the Soviets sentenced the accused to labor camps for periods of 2 to 25 years, when world attention turned to other matters, all of the convicts were repatriated to Japan in 1956. Such leniency was part of a Soviet-Japanese deal in which the prisoners exchanged information beyond that of the trial testimony for clemency in an arrangement highly reminiscent of the United States' bargain with its captives. If the Soviets' experience was anything like the Americans', then the superpower ended up with the short end of the stick.20 William Patrick, who worked at Fort Detrick for three decades and served as chief of the Product Development Division, had the opportunity to review the contents of seven steamer trunks sent from Japan. He discovered that the Japanese secrets fell far short of constituting valuable science. For example, to test the infectivity of anthrax spores, the Japanese scientists placed a few milligrams of a wet paste into the ear of a subject, but the dose was not quantified so one couldn't repeat the experiment (not to mention the bizarre mode of application—few people would end up with anthrax paste in their ears during a biological warfare attack).21 In the end, much of the data was purely anecdotal and many of the experiments were fatally flawed in their designs. But by the time the U.S. scientists figured out the deplorable state of the "science" for which they'd traded their moral integrity, the Japanese were busy trying to live happily ever after. tor (with one exception) of the Japanese National Institute of Health between 1947 and 1983 had served in a biological warfare unit, half of them having conducted human experiments. It is no wonder that the Japanese continue to deny the atrocities of Unit 731—the cultural embarrassment would be devastating. Amid rumors that former members of his unit had evened a longstanding score, in 1959 Ishii died—most probably from throat cancer rather than assassination.24 His story spanned three centuries. He was born at the end of the 19th century, his depraved program of science stained the 20th century, and his final tally was determined in the 21st century. 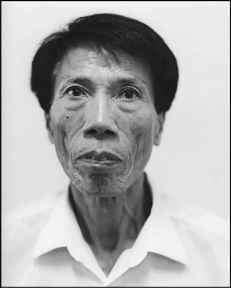 In 2002, an international symposium of historians convened in Changde, China, to arrive at what has become the accepted figure for the death toll from Japanese biological warfare.25 As a result of attacks, field tests, and experiments, a total of 580,000 Chinese were killed—slightly more than three-fourths by entomological weapons (see Figure 11.3). The ghosts of Japan's Unit 731 would haunt the Cold War for decades to come. But the Japanese were not the only Axis power to alter the nature of warfare in the 20th century. While Japan mastered the use of insects to transmit disease, Germany devoted its formidable scientific expertise to waging war on crops.